My kids tend to discover something, whether it is a toy, an art technique or a simple template and then they use it for a million different activities. 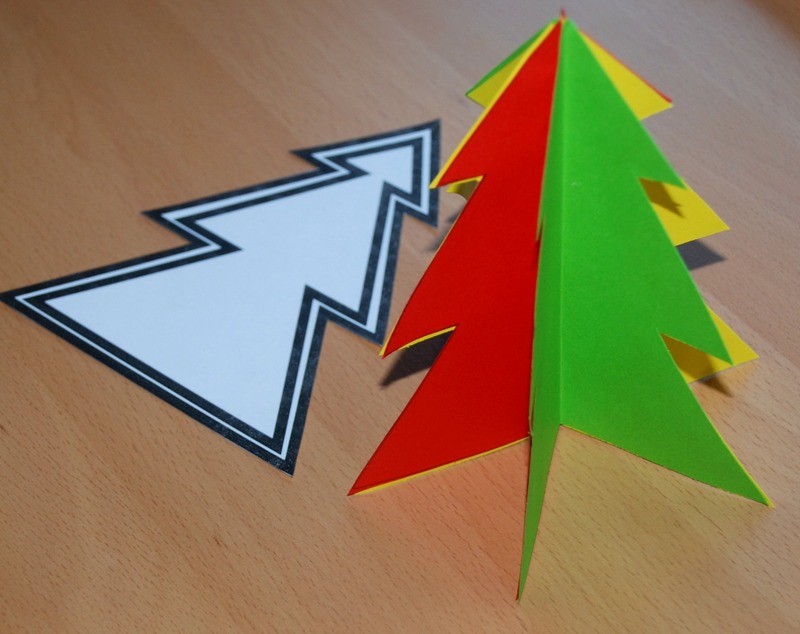 This year one of our new favourite discoveries has to be the Layered Christmas tree template from Activity village. 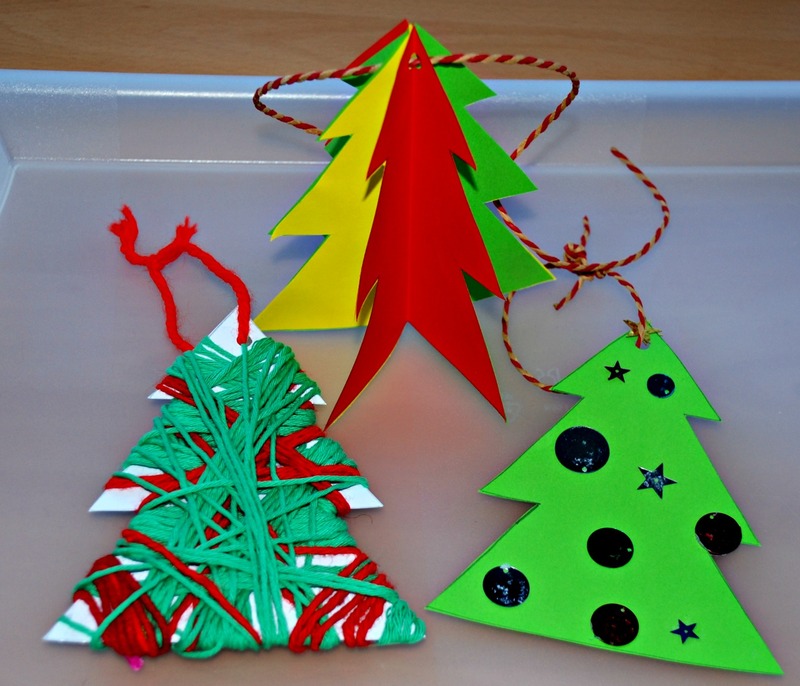 We have already used it to make 2 different types of Christmas cards – our tissue paper christmas card and our 3D Christmas card and now this last week we have been using the same template to make some Christmas tree decorations. 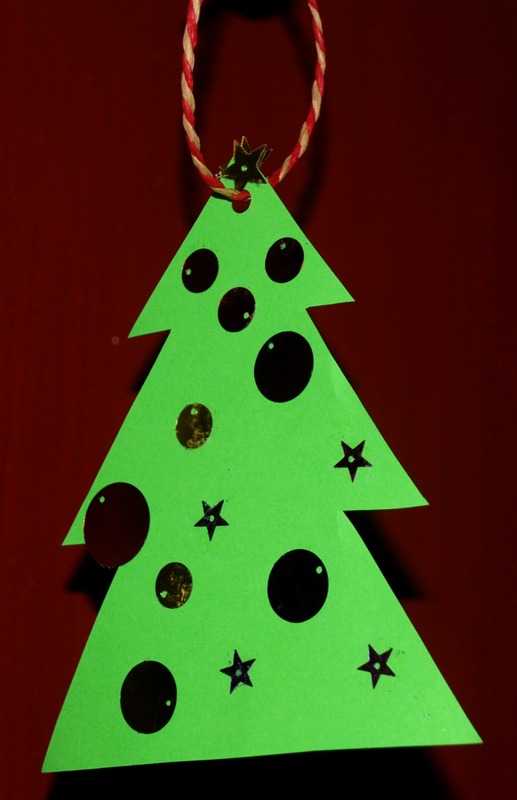 My son wanted to use the tree template to stick “tree decorations on” – he used some art and craft sequins that we have. Simple but sweet for the younger kiddies to do. My daughter had a go at making a woollen Christmas tree decoration. 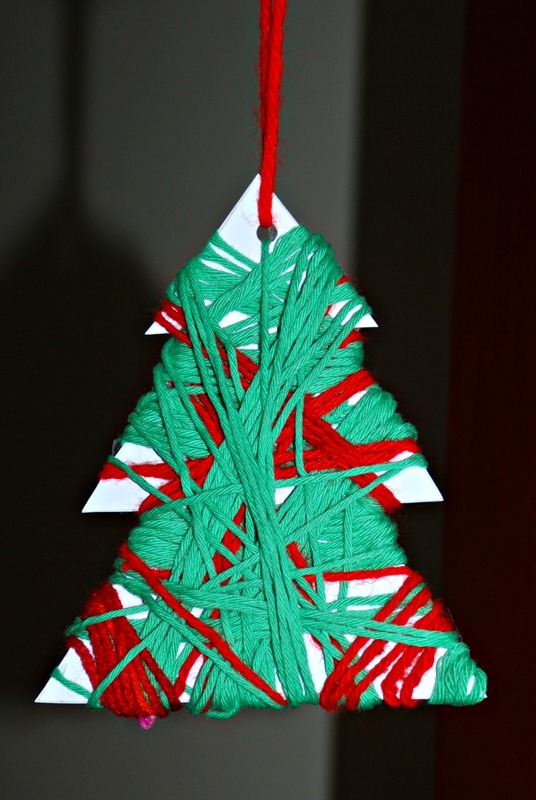 We use the template to cut out a tree shape on some card and then wrapped green and red wool around it (we did use some tape at the back of the tree to make hold the wool in place). Again a simple idea but another lovely addition to our home-made tree decorations. 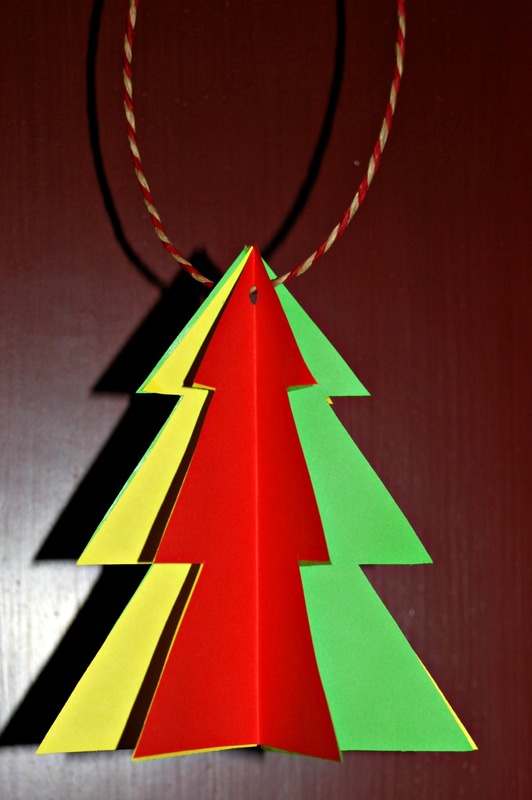 And we expanded on the idea of our 3D Christmas tree card and made one into a tree decoration. 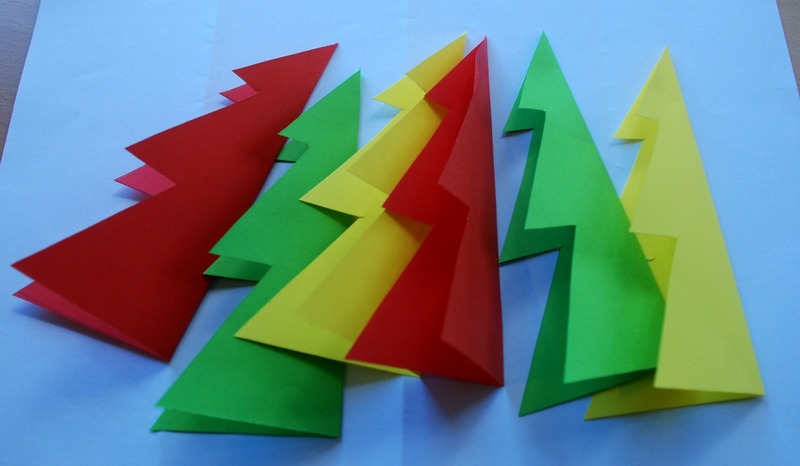 We started with 3 different coloured A4 pieces of paper folded in half and we traced our template onto and then cut them out (so we ended up with 6 trees). We folded all 6 trees in half. Then we started the process of glueing one half of the first tree to one half of the second tree and then the other half of the second tree to the one half of a third tree etc etc. Until we came to our last tree. With the last tree we glued the 2nd half of it to the other half of the first tree. We punched a hole in the top of the tree and threaded some string through so we could hang it. And all from using a tree template from Activity village. UPDATE – when I initially wrote this post the Activity Village page that we used was free to download but the Activity Village website has since changed and the page can now only be downloaded if you are a member. 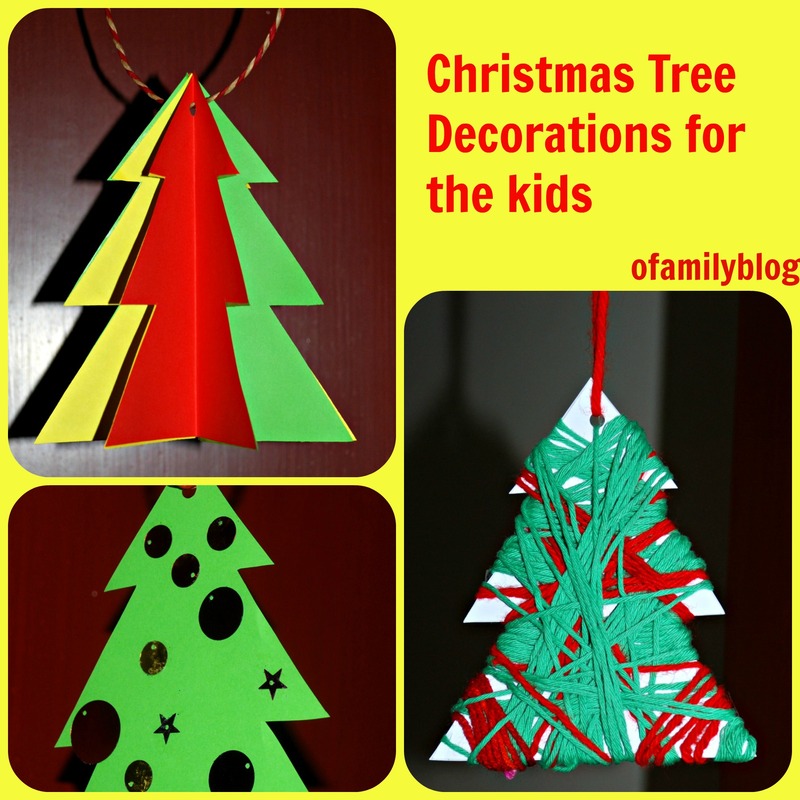 This entry was posted in Art and Craft Ideas and tagged activity village, children's craft, Christmas ideas, Christmas tree decoration, free printables, home-made, homeschooling. Bookmark the permalink.